Been no rain for a while here now, so as a consequence the Eden is quite low. The weather is hot and sticky already. The Eden is still running low and the weather is dry, warm and overcast. This river fishes well when it is low, so that is not a problem, you just have to go very carefully or in the evening. Bit of a dull start this morning, but still quite warm. The river is running slightly lower than it's normal height, whatever that is !! The Eden is still a bit low and the weather is dry and overcast, but quite warm. The Eden is slightly below normal height and the weather is dry, sunny and a bit breezy, but still warm. HOT HOT HOT !!! and BRIGHT BRIGHT BRIGHT !!!! The Eden is still at a fair level and the weather is going to be hot. 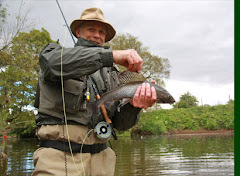 The river conditions are still very good and the weather is a bit dull and dry. The Eden is still running well and the weather is dry and overcast. The Eden has dropped to a normal level and all the colour has dropped out. The weather is wet and overcast at the moment. The river has dropped to a normal level with a slight beer tinge to the water. There has been more rain overnight which may affect the levels again, but there you go, you can't have everything. The weather is dry, overcast and a bit breezy. 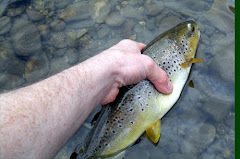 The rain yesterday brought the Eden up quite a way, but it is dropping now slowly and you will find a few areas fishable with fly where there are no main tributaries coming in. It's a overcast, breezy morning with rain on the way. The river conditions are still reasonable, but not to low. The thundery showers yesterday have put a small amount in the Eden and it is still at a normal ish summer level. The weather is dry and bright with patchy high cloud. A few patchy clouds in the sky and not much else, very warm. The Eden is still running reasonably well considering it's not rained properly for a while. The Eden is still running nicely and the weather is dry and sunny with patchy cloud. Looks like it could be quite a warm day today and perhaps a bit bright. The Eden is still running well. No change to the Eden, however, it has rained overnight and is continuing to do so this morning, although, it is only a slight drizzle. It's a dry overcast day so far and the river Eden is still running at a nice level. 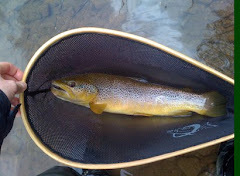 The river conditions are still good and the weather is good at the min. The weather is dry and sunny and the river is running at a good height. 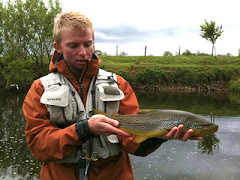 The Eden has dropped off and is fishable in areas but may be a bit higher downstream of the belah. The river conditions are still slightly low and the weather is as the heading. The Eden is still running well but could do with some rain soon to top it up and the weather is dry and overcast. While the river conditions are exactly the same as yesterday, the weather is cooler and the sky is overcast. As yesterday, river ok and hot and sunny. No change in the river, which is running well and the weather is hot.